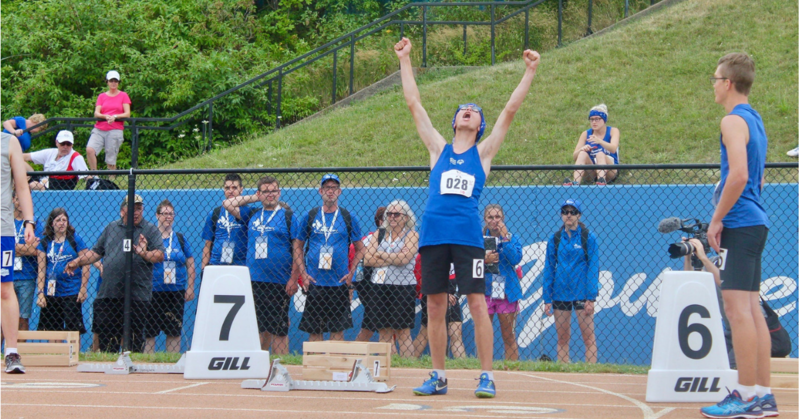 For 50 years, Special Olympics Canada has enriched the lives of Canadians with an intellectual disability – of all ages and skill levels – through the transformative power of sport. Thousands of volunteers, coaches and officials across the country provide high-quality programming and services to Special Olympics athletes from age two to 70-plus, at both the recreational/community and competitive level. Are you interested in signing up your child, loved one, or yourself for our world-class sport programs? Special Olympics Canada offers more than 5,500 programs in communities across the country and welcomes all individuals with an intellectual disability from age two and up. Want to find out more about becoming a Special Olympics athlete? Special Olympics offers programs for all Canadians with an intellectual disability, ages two and up. What can you tell me about community and competition programs? What sports does Special Olympics offer? What are the benefits of Special Olympics programs? What other resources exist for athletes and family members? Volunteers are the backbone of Special Olympics Canada. The organization’s 21,000 volunteers enrich the lives of countless children, youth, and adults involved in Special Olympics programs. If you’re interested in volunteering with an organization that changes attitudes and builds stronger communities across Canada, then join Special Olympics today. You will make a meaningful and lasting impact in many lives, including your own. Special Olympics programs are rich with opportunities for rewarding volunteer experiences, from coaching to serving as an official, assisting with events, leading programs for young children or mentoring Athlete Leadership participants. You don’t need to have previous experience working with individuals with an intellectual disability to apply. Quality volunteers and coaches are the most important part of Special Olympics programs. Coaches give athletes the skills and encouragement they need to succeed and to live healthier, more confident lives. Being a coach with Special Olympics is incredibly rewarding. With a passion for sport and the right level of sport knowledge, coaches have the opportunity to become leaders at all levels within the movement. You don’t need to have previous experience working with individuals with an intellectual disability to join. Special Olympics Canada would like to thank Coca-Cola for it’s generous fundraising support for this section of the website.